This will all be done alongside the planned curriculum. It will be a part of each class period. It will be a place that will complement the content from the curriculum. And at times it will be its own assignment to keep up the practice of writing. During those points in the year when the students are writing formal essays, it will be a place for students to informally write about the essay writing process: what perplexes them about the academic writing process, how they are putting their research together, what their problem areas are as writers, etc. I love teaching with the Writer’s Notebook! It has broken down barriers and solved many of the problems I have faced in delivering quality writing instruction to my students, writing instruction that sticks with them from assignment to assignment. 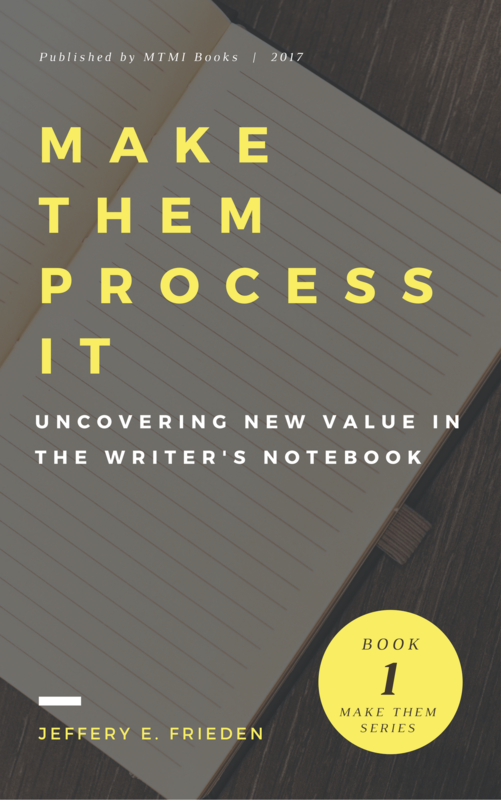 Or, enroll FOR FREE in my online course The Writer’s Notebook in the Classroom. QUESTION: How do you motivate students to write? What is your biggest challenge in developing skilled writers? To a student, 20,000 words a year may sound like a discouraging feat, but I love the practical approach that your article provides for parents and educators alike. At the this point in the year, my students already have 4,500 words done! It is not as difficult as most people expect. I’m buying your book; it looks so interesting! Do I have your permission to write a review on it after reading? Permission? Of course! Speak your heart away! Unfortunately, I can’t buy your book in Canada on Amazon.ca! Is it going international any time soon? I was unaware that this was an issue. My understanding is that it should be available worldwide. I need to look into this. While I figure that out, sign up for my free online (video by email) course. It breaks down the how of the book into five steps. Thank you, will do!I tried to buy it twice with no luck. I sent a long an email about this whole book purchase mix up. I’m hoping you’ll find it encouraging.